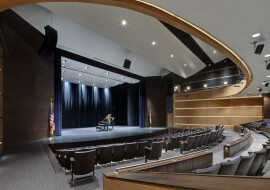 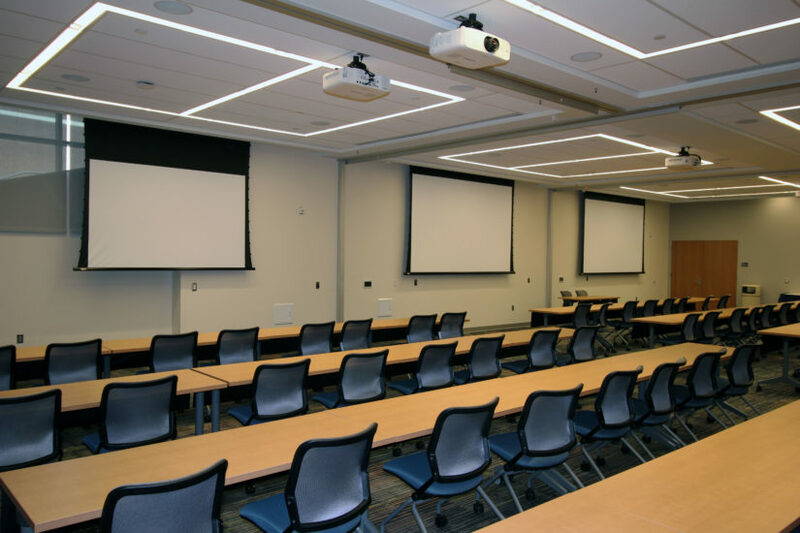 Shen Milsom & Wilke provided audiovisual and IT Infrastructure consulting expertise for the new Student Union at Pennsylvania State University’s Brandywine (PSUB) Campus in Media, PA. 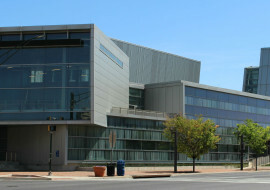 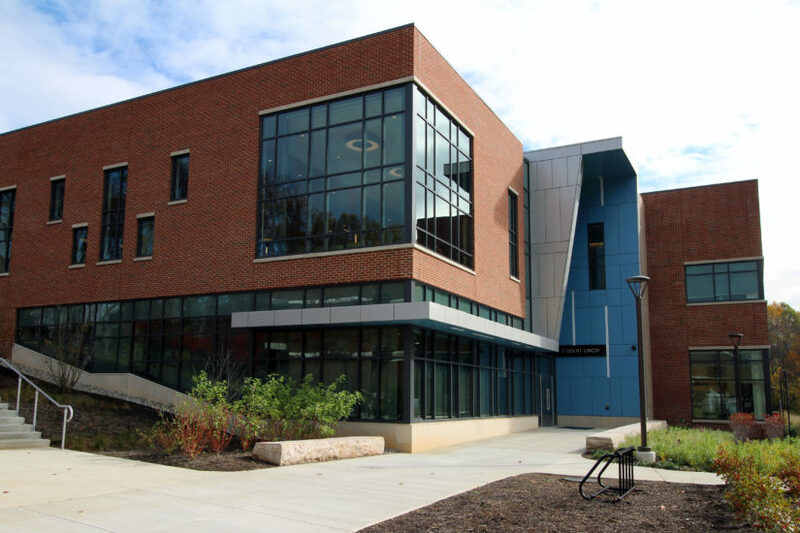 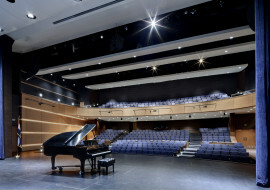 The 31,000-square-foot Parsons Hall serves over 1,500 students at the Brandywine branch of Pennsylvania State University, a school built up entirely of commuters. 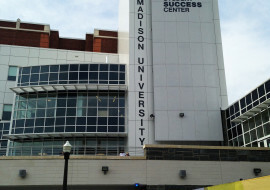 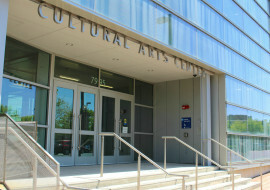 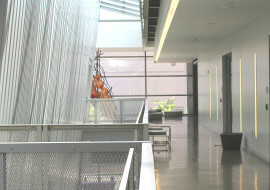 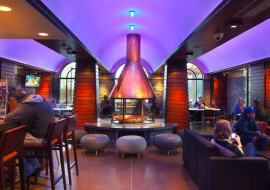 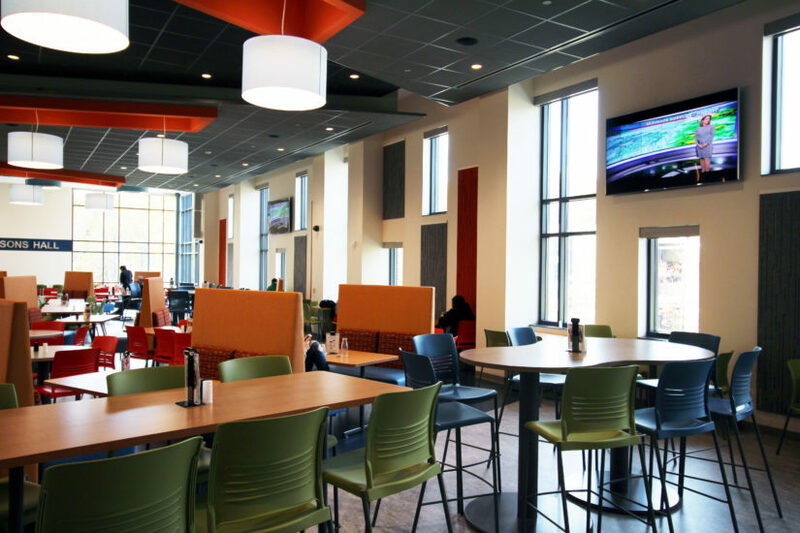 The student union is part of a larger transformation to the Brandywine campus. 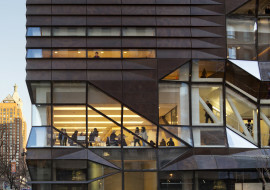 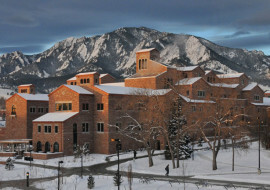 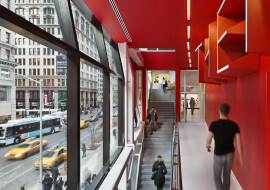 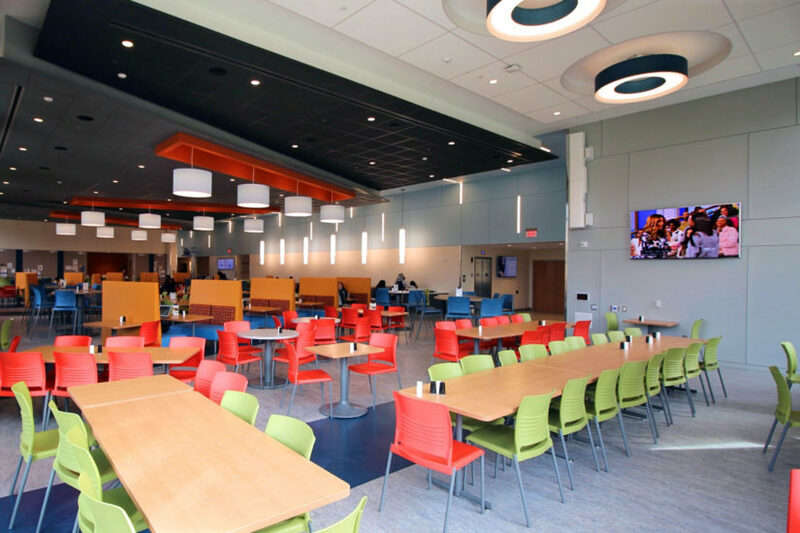 The new facility touts centralized dining services, meeting rooms, a bookstore, health and wellness services, lounge areas, student affairs, and a student organizations office. 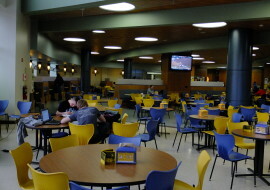 The dining hall seats up to 300 students and has televisions displaying news and other programs for students to enjoy while eating. 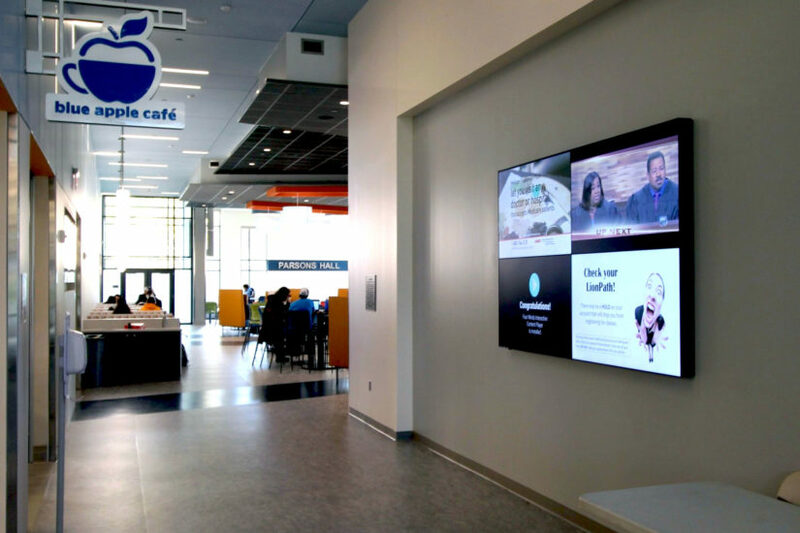 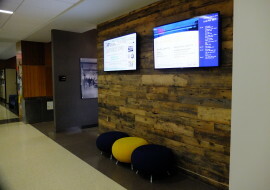 There are various digital signage components sprinkled throughout the building with the Blue Apple Café has video displays for their menu items and specials for the students to choose from and multiple displays used for announcements and bulletins.